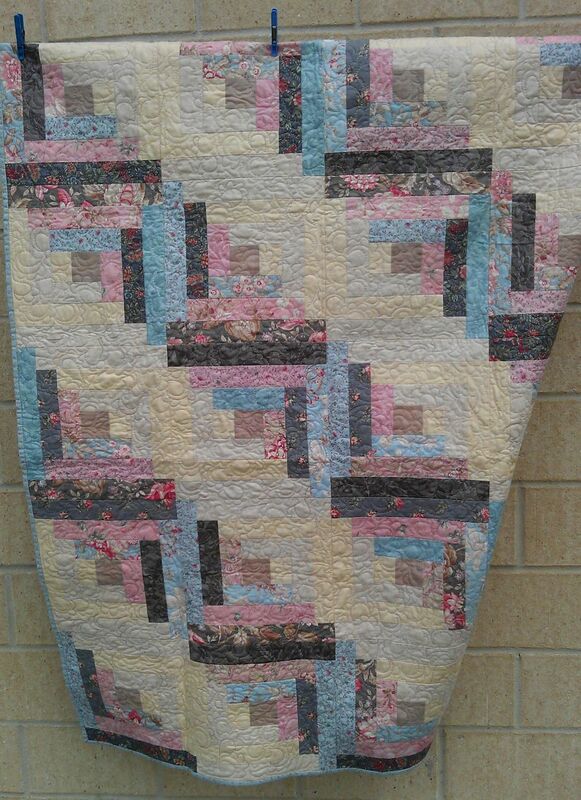 This was another small quilt I quilted at our retreat. It had already been finished and bound, and ‘stitch in the ditch’ around the blocks had been done, but the Community Quilts coordinator asked if I could rescue it and liven it up a bit. 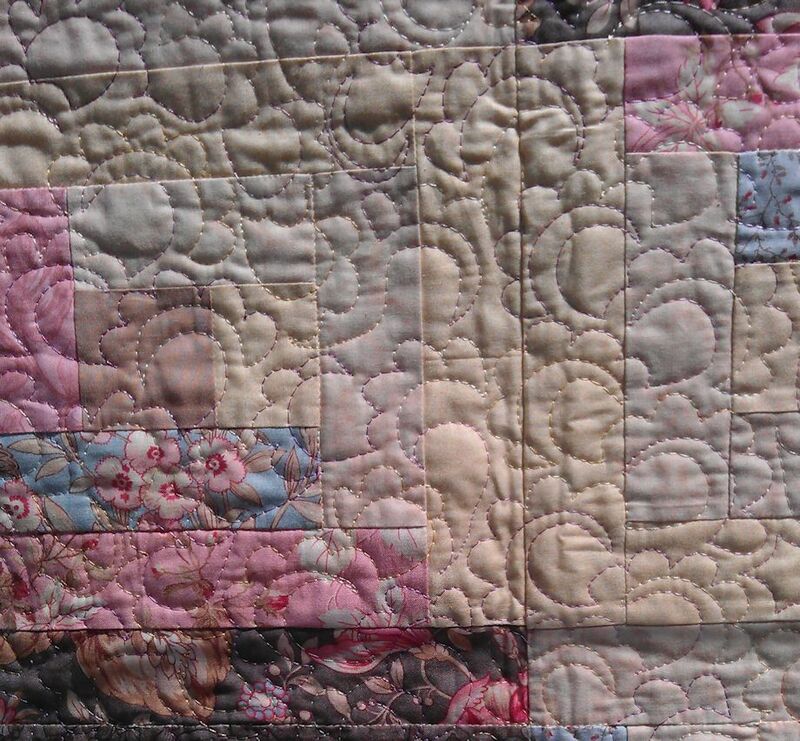 It was a such a pastel log cabin quilt, with lots of small flower fabrics used — how to quilt it? I decided on an all-over continuous line motif of large and small arcs, emulating flowers. 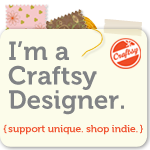 This was the quilt while it was on my machine. On the right is how it looked when I got it — fairly plain, with just the stitch in the ditch quilting. 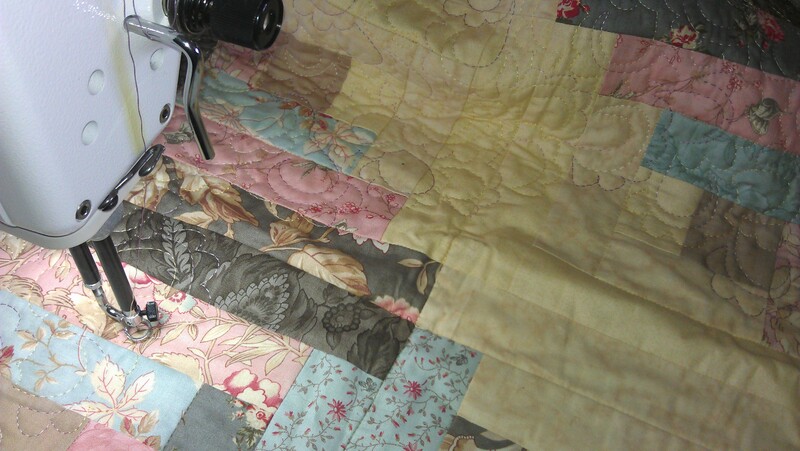 I think I livened it up a bit with the quilting. There aren’t enough words to describe the “yummy-ness” of the texture and interest you added!